3-tier wedding cake decorated with lace, avalanche roses, vanilla sky roses, white lisianthus and white veronica sugar flowers. Bottom tier- white chocolate & passionfruit, middle tier- summer berries, top tier- zesty lemon. Delivered to Cragwood Country House Hotel. Congratulations to the happy couple! Thanks PJ, yes I really liked the yellow too! A beautiful colour for a spring wedding! 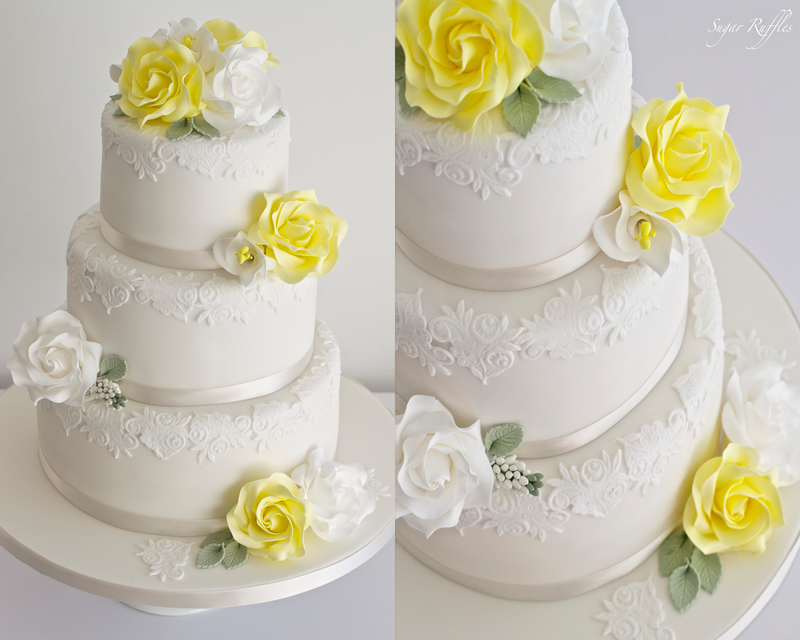 I was searching wedding cakes with yellow. This is the only cake I've seen that has made me pause and say ooo, I like that.